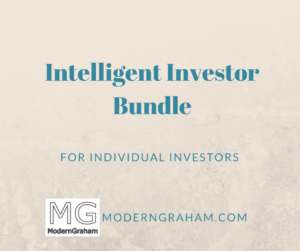 ModernGraham has several tools available to make your life as an intelligent investor easier, whether you are an individual investor or an adviser / fund manager. 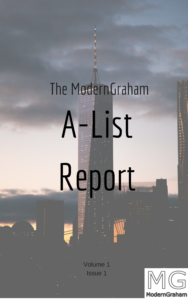 Thank you for your interest in ModernGraham's products, and hopefully you will find something that fills your specific needs. A bundle designed for individual investors. 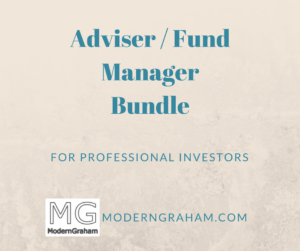 A bundle designed for Investment Advisers, Fund Managers, and other serious investors. Can't Decide? Get a FREE 7-day trial! 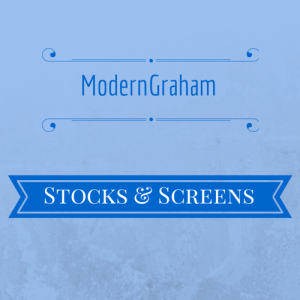 If you are unhappy with your subscription for any reason, please send an email to ben@moderngraham.com to cancel. If immediate cancellation is requested, a refund of the most recent month's subscription fee will be issued. If you would like to simply cancel at the end of your current billing cycle, the recurring payment will be stopped. 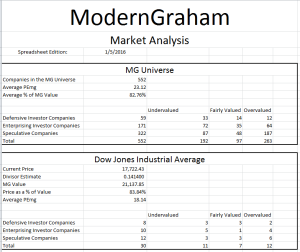 ModernGraham's Valuation of the Dow Jones Industrial Average based on a calculation of each component's individual valuation. The overall PEmg rating of the Dow Jones Industrial Average based on an average of the PEmg rating of all components of the index. 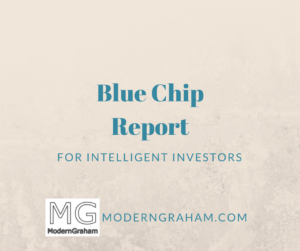 Table Summarizing Each Company's Most Recent ModernGraham Valuation including the company's qualification for Defensive or Enterprising Investors, estimated value, PEmg, and dividend yield. A monthly PDF and spreadsheet listing the stocks in the MG Universe and screening them based on various criteria. Periodic Report summarizing the top rated companies in the MG Universe. Table Summarizing Each Component of the Dow Jones Industrial Average including a valuation of the index as a whole.